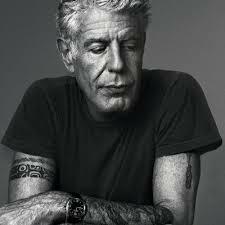 I think of Anthony Bourdain as the guy who started the whole “bad-boy chef” industry, which has been, in my view, bad for society. Or maybe it was Gordon Ramsay. Is Gordon Ramsay still alive?